I feel so fortunate that I’ve received invaluable positive discipline education at Indigo. My relationship with my children is happy and healthy and I truly believe that having these positive skills in my parenting toolbelt has a lot to do with the mutual respect we show each other and others. Committed to Implementing CORE VALUES! 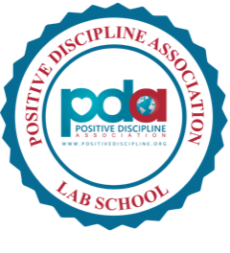 Indigo has been selected to take part in the Positive Discipline Association’s new Lab School Pilot Program. This program recognizes schools around the world who are broadly implementing Positive Discipline using a whole school model. Schools are evaluated based on the length of their implementation history, the percentage of their teachers and staff who have received training, and the depth of their practices in the classroom and school community. Indigo was founded with positive discipline as a core value and has consistently worked to implement the practices in the classrooms, through professional development for the teachers and in training for families entering the program. Additionally, there are also many opportunities for all community members to learn and practice PD skills in the classroom and through adult education opportunities and optional workshops.